Ok, so we don't sell this on our shop, but I just had to write about it. I was watching the Mike and Juliet Show one morning and they were reviewing product that were "Seen on TV", you know all that Billy Mays / Mike Sullivan stuff.. and the ShamWow. Anyway, they brought on this woman who had kinda icky feet and tried it out on her on tv, closeups and all. Then they opened it up and dumped out all her icky poo poo feet stuff on to her black skirted lap. It was disgusting, but showed how well the product worked. Then they talked to a doctor and I think someone who does or knew about pedicures. This thing works and the people said it's safe! So after witnessing some pretty gnarlywinter feet in sandals, wanting to make sure that mine were ok, I went and purchased one… they're only $9.99 at any drugstore. It works! My feet feel like a baby's bottom. Be sure though to read the instructions, you don't want to file away too much and I slather my feet with lotion after wards for an at home spa feeling. Well, not really, because I'm usually running out of the house right after wards and have kids climbing all over me the entire time I'm doing it, but you get the drift. Here's a quote about it from a store selling it…. The Deluxe PedEgg is the revolutionary foot file that you've seen nationally advertised on TV. It's the newest and fastest way to make your feet feel smooth and healthy with NO MESS! The secret is PedEgg's precision micro-files that gently remove calluses and dead skin to give your feet the incredible baby soft look and feel that everybody loves. Two high quality emery buffing pads are included for the ultimate finishing touch. The unique egg shape of the PedEgg not only looks great, but is ergonomically designed to fit perfectly into the palm of your hand for easy and convenient use. Best of all, PedEgg has been designed to collect all the skin shavings in a convenient storage compartment allowing you to use it anywhere with no mess. You and your feet will love the new PedEgg! Includes 2 emery finishing pads. 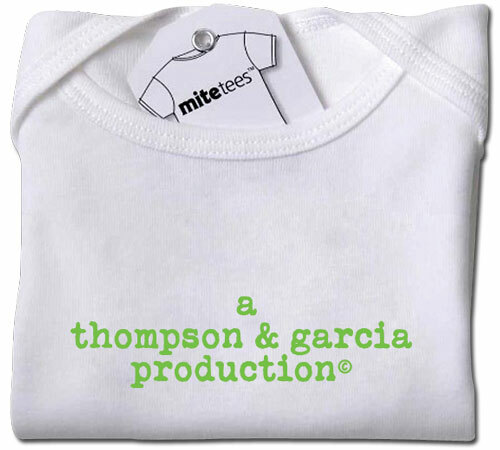 Ok, so I think these custom onesies and tees from Mitetees are one of the coolest things I've come across in a long time. I wish they would have had them when my girls were younger! I'll get Mia the birthday one this year but Bella has just done outgrown all of these. So sad. I'll post all the options available on our site later this afternoon. 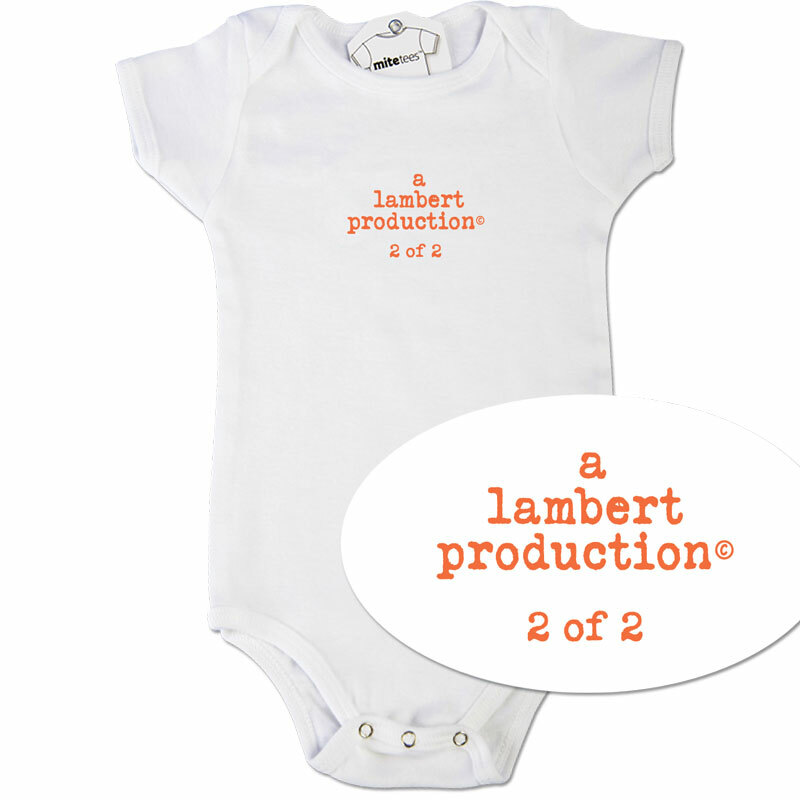 They're really cool and options include birthday tees, Big Brother / Big Sister, Little Brother / Little Sister and other cute options. Very quick turnaround time and in the $25.00 price range. What a great gift idea! When I was pregnant (especially the first time) I was really worried about stretch marks as I got bigger and bigger. Not that anyone saw my tummy, or would again. But I slathered and slathered creams on as I grew. It worked and I was fortunate enough not to get any. 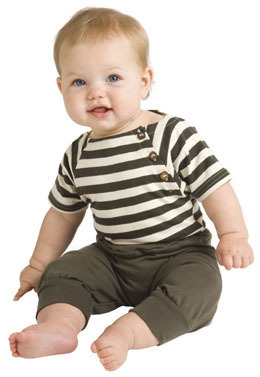 Noodle and Boo offers a variety of Maternity and Baby products that are clinically-tested, non-irritating and hypoallergenic; dermatologist- and pediatrician-tested. Click on a link below and get savings on this super fabulous product! glowology maternity Glowology’s maternity line comes in signature white boxes and is offered at the finest maternity stores in the United States. noodle & boo baby Complete care from the tops of their heads to the tips of their toes. Developed for newborns, babies and children with eczema and sensitive skin, our Crème Douce line offers luxurious care sure to make every minute with baby extra special. Formulated with wholesome and natural ingredients, products offer wonderful results. Clinically-tested, non-irritating and hypoallergenic; dermatologist- and pediatrician-tested. We need your votes! please…..
Kate Quinn Organics… now in! We’ve just received a big order of Kate Quinn Organics, another local manufacturer we love to support! 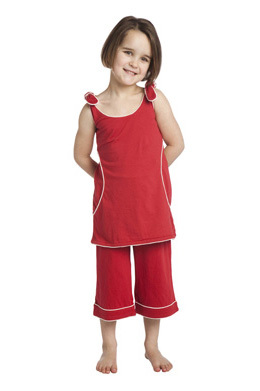 We’ve got dresses, tanks, bubbles, boys shirts, infant saques, towels and washcloths. I know I’m forgetting something…. come in and take a peek. All of it is very affordable, with great design, organic and fair trade! Let me start by saying…. there will be no pictures attached to this blog. So my parents have a community pool that we have been going to for years. I've been very happy sitting on the sidelines, watching as Bella and Steve play in the pool and giving Bella pointers crouching over the edge. Well, this year everything shifted. Mia is almost three and a half and quite frankly the second girl child, which I think automatically makes her a daredevil. She sits in her floaty ring and kicks her feet, spins in circles and tries to jump off the side when Steve is off with Bella teaching her how to use a noodle and to float. So this was it, the day had come. I had to purchase a swimsuit and get in the water. Quite frankly after A 90 degree day it wasn't so bad, I almost wanted to get in the pool. Long story short I managed to find a cute skirt and long halter top combo, which I figured would cover everything up (as much as it could) and get me in the water and it was on sale… perfect considering I wouldn't be getting in the thing that often. I kept telling myself, I won't be the worst one at the pool, there is always someone else wearing something they shouldn't and I'll be ok.
We get to my parents, I remove my make-up and put my suit on. Check. I show my mom, she laughs. Check. My dad wants to see, I have my sweats on and I make a break for it. Check. Get in the car, go to the pool, un-load our stuff, spray me and the girls down with the Circle of Friends Pre-Swim Conditioner. Check. Wrap myself fully in a towel and go out to the pool. Ack. I sit on a lawn chair and it's adult only swim (15 minutes of time only grown -ups get, all kids out of the pool) and I decide that I've never been old enough to do that, so I'm going to do it. Yes, it has been that long since I have been in a bathing suit or pool! I unwrap the towel, crouching all the way to the pools edge and I slide on in. To my horror this "suit" I just purchased wasn't exactly thought through. The skirt part floated to the top and the cute little halter wouldn't really stay down either. Perfect. I worked through my embarrassment, realizing that unless you had goggles on you probably couldn't see. There were a few other adults floating around and all I could see were there heads. Whatever. Then it was time for the girls to get in. All my ding-dong worries about my chubbiness and swimsuit dilemmas vanished. I finally got to catch Mia when she jumped in, try and help Bella not sink so badly in the middle when she tried to swim and show them that I didn't hold the 8 and under backstroke record for nothing. The only problems I had were when Mia had to go to the bathroom (my top rolled up at the waist when I got out and the whole suit stuck to me like glue) and when I tried to do a flip turn at the wall and I got all discombobulated and I thought I was going to drown. Swimming had come back to me but not 100% apparently. They'd never let me back on swim team again at this point. Needless to say I had an amazing time and I am going to go every chance I get. It was such a fun family time and I actually found myself telling Steve that. He said… see this is more fun than sitting and watching and it was. I felt exercised. I had an amazing time with the girls. When swimming lessons start I'll be able to participate. Bella said… No offense mom, but I think you were probably better when you were eight. That's ok though. I actually know she had fun with me, Mia did and neither one of them cared if I looked silly or not in my suit. They were just happy I got in and played with them. I'm going to go as often as I can now. And who knows by the end of summer, if I keep going, maybe I'll be able to get a real suit. Finally, a new shipment of Circle of Friends hair products are in. We put off ordering a new shipment until after the move, shampoo and conditioner is heavy! 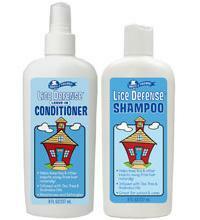 For those of you wanting the lice spray and shampoo, we have it! I swear by it… and it seems this is the time of year we hear more about lice at schools, so Bella gets a good squirt all around her head before she goes. We've managed to never get a little critter yet… thank goodness. Another product that's new to us and that we will use this summer is the Swimmers' Shampoo and Pre-Swim Spray. We have been at the pool a ton since the weather has been nice and if this spray works as well as the Lice products I will be very happy. Memories of chlorine hair as a child haunt me so I want to try and avoid it with my girls. We are running a special deal, both for $21.00 (both would normally run about $26.00) and you get a free pair of sunglasses!